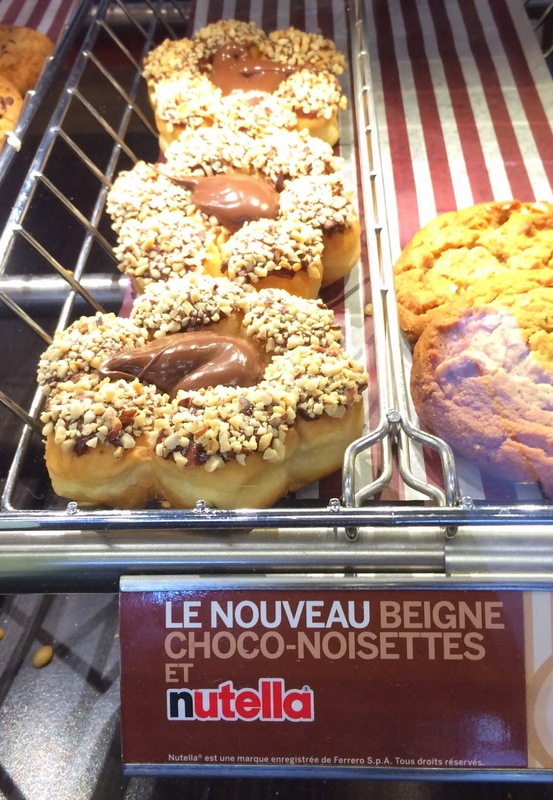 I heard Tim Hortons just launched limited-time Nutella pastries today, April 15, 2015, but I saw them already on the 13th in Montreal. 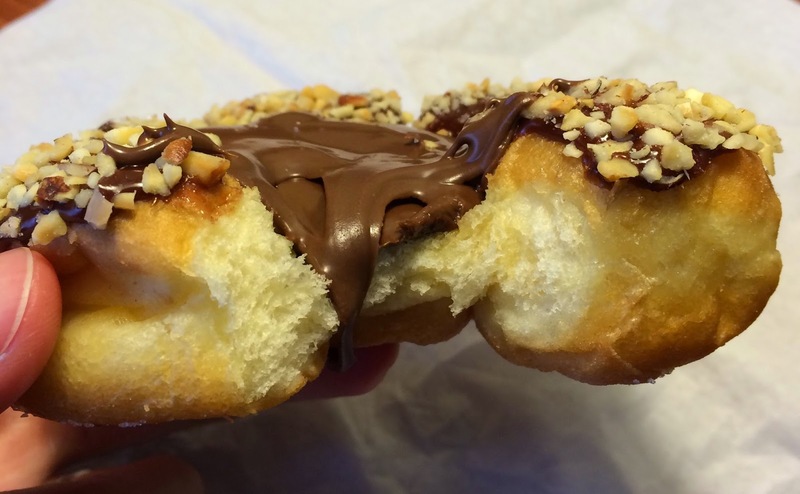 On the 14th, I bought 2 kinds; Beigne Choco-Noisette et Nutella (Chocolate Hazelnut Donut Filled With Nutella) and Chaussons Au Nutella (Pastry Pockets Filled With Nutella). 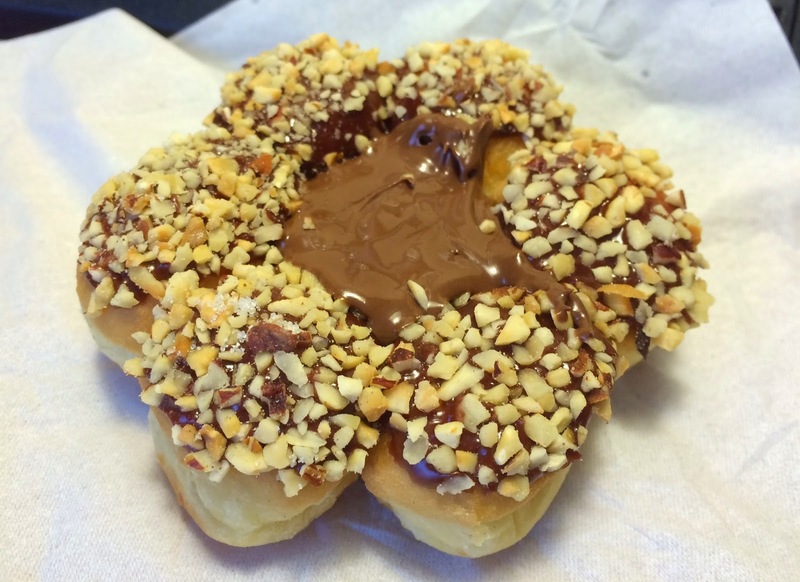 The fluffy donut was flower shape, and in the center, there's Nutella. 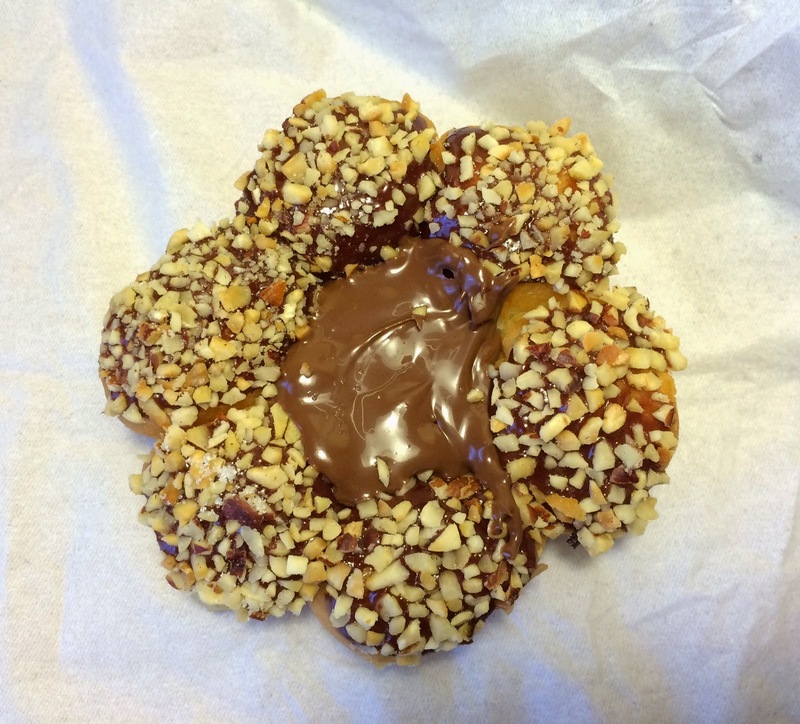 I usually eat each "petal" which is a ball attached to the center with Nutella, and the Nutella was so runny and smooth that it started falling off like lava. I had to eat this quickly so that the Nutella wouldn't be wasted. The nuts were finely chopped hazelnuts and they're crunchy. 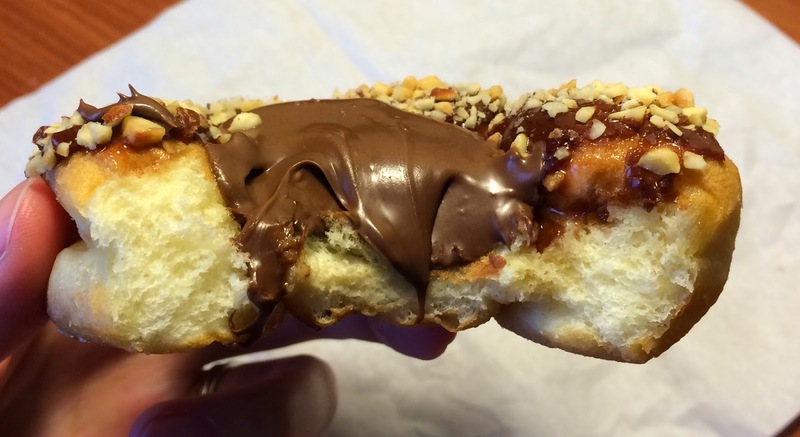 Though the Nutella was only placed in the center, the whole donut tasted like Nutella.